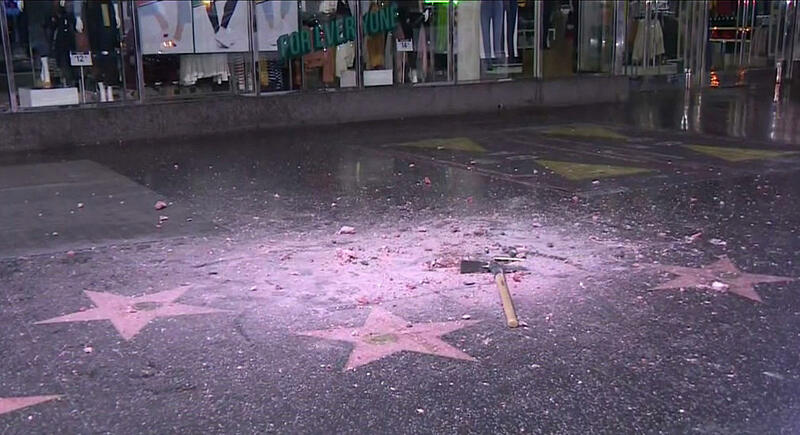 WEST HOLLYWOOD -- The West Hollywood City Council unanimously passed a resolution Monday night urging the removal of President Trump's star from the Hollywood Walk of Fame, reports CBS Los Angeles. The resolution calls on the Los Angeles City Council and Hollywood Chamber of Commerce to remove Mr. Trump's star "due to his disturbing treatment of women and other actions that do not meet the shared values of the City of West Hollywood, the region, state, and country." Mr. Trump received the star in 2007 for his work producing the Miss America Pageant and before he starred in TV's "The Apprentice".